What do five books, HBO, and Harrah’s Casino all have in common? What do five books, HBO, and Harrah’s Casino all have in common? If you guessed Rita Rudner, you’re right! While Rudner is well known for her hysterical style of comedy and her long-running Las Vegas stand-up career, this Renaissance Woman has a few other tricks up her sleeve. Rudner rightfully earns the title of Queen of Comedy. Her career started while she was a dancer on Broadway, when she realized there were not many female comedians. She studied up on humor through recordings of favorite comedians and Manhattan’s comedy clubs, creating her own iconic style. From there Rudner performed her comedic acts on The Tonight Show with Jimmy Carson and Late Night with Letterman. As her popularity rose, she began touring, filling up enormous theaters in New York and Los Angeles as well as Australia and England. Her comedy career helped her branch out into other careers. Along with husband Martin Bergman, Rudner has written multiple screenplays for TV and film. The two have also co-directed and co-produced many of these TV shows and films, including Peter’s Friends, A Weekend in the Country, and Thanks. This also opened up the world of acting to Rudner, as she acted in both Peter’s Friends and Thanks. Her most recent acting performance was in a new play Act 3… directed by husband Bergman. As well as appearing on the silver screen, Rudner has recorded multiple television specials. Her first was with HBO, called Rita Rudner’s One-Night Stand, which was nominated for multiple awards. She also recorded Born to be Mild and Married without Children for HBO, as well as Live From Las Vegas for PBS. Rudner even hosted her own daily talk show, Ask Rita, which earned her the Top Program Host Award from Women in Television and Radio. 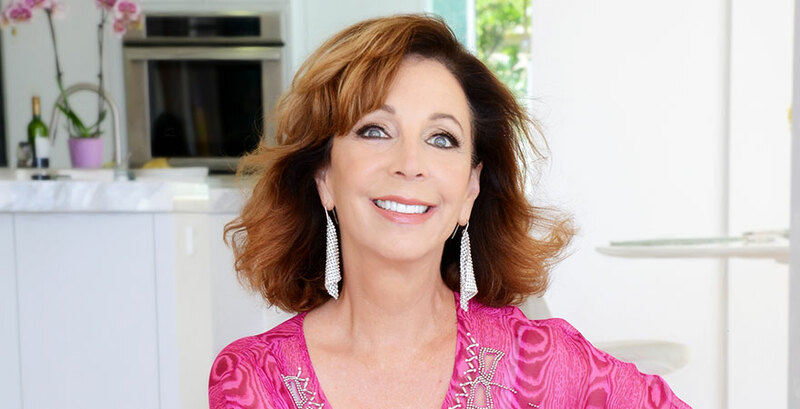 Rudner combined her comedic skills and screenwriting skills to write five books: I Still Have It; I Just Can't Remember Where I Put It, Naked Beneath My Clothes, Rita Rudner’s Guide to Men, and the novels Tickled Pink and Turning The Tables. Naked Beneath My Clothes appeared on many best-seller lists when it was first published. Perhaps her most notable career accomplishment is her stand-up routine in Las Vegas. Beginning in 2000 as a fill-in, Rita has performed her comedy acts in famous Las Vegas venues Harrah’s and The Venetian. Still performing in Vegas today, Rudner owns the title of being the longest-running solo comedy show in Las Vegas history. This amazing career has also won her the title of Las Vegas’ “Comedian of the Year” for nine years in a row, and Nevada Ballet’s “Woman of the Year” award in 2006. Star of the stage, screen, and script, Rita Rudner has multiple careers and is successful in all of them. Her consistency and hard work prove that she is willing to try her hand at anything- and has been great at it. Rudner even says, “On my tombstone it will say: ‘I tried everything-nothing was easy.’” You won’t want to miss this incredible comedic act in a double bill with Brad Garrett on October 29 at 7pm at State Theatre New Jersey!